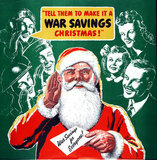 Poster by Edgell advertising final Christmas posting dates for air mail. 'No Extra Trains at Christmas', Railway Executive Committee poster, 1939-1945. 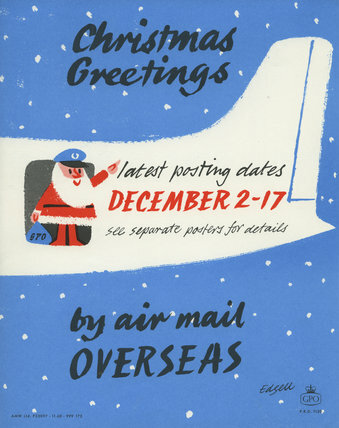 'Christmas Greetings', BR poster, 1960. Dog in a Father Christmas outfit, November 1984. Advertising brochure for the Great Northern Railway, 1905. Father Christmas drinking a toast, 1950.